Looking for the price of Lutron AM-4202 Vane Type, Hot Wire Type Anemometer With Temperature The latest quality is cheap? 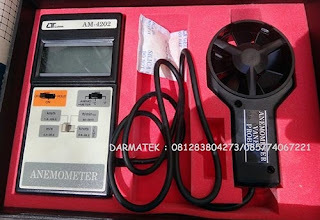 We are Lutron AM-4202 Vane Type, Hot Wire Type Anemometer With Temperature in Jakarta, Contact Tel / SMS: 0812 8380 4273 (WA: 0819 3263 2003). Darmatek Distributor of various security, electrical, safety, laboratory, tester, measuring, survey and other tools. With an office at the Address Jl. Moh. Kahfi I, Jagakarsa South Jakarta.